We’re already into the Fall season, but for those of us in warmer climates, shorts can work year round! 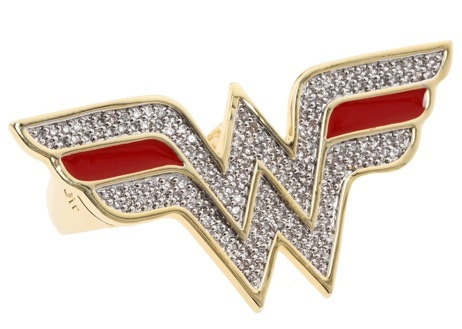 This Wonder Woman themed look shows that you don’t have to sacrifice chic in order to be casual or comfortable. 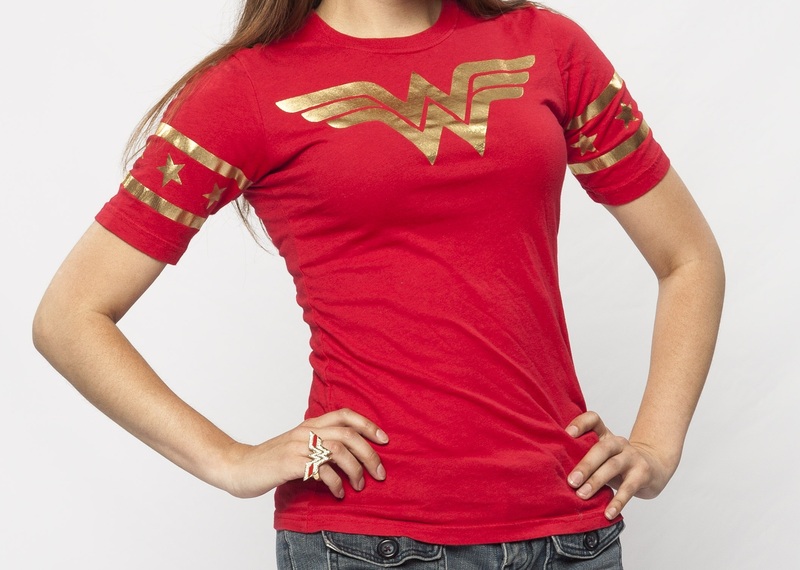 I’m not usually into the typical superhero emblem t-shirts, but the gold foil on this Wonder Woman logo t-shirt adds just the right amount of glam to make it a really fun top to wear. This was available at Hot Topic, but has since been discontinued on their website. It might still be available at some brick-and-mortar stores, but it is currently available at SuperHeroStuff.com. Shorts are somewhat unfamiliar territory for me. In fact, it’s embarrassing to admit, but these are the only pair of shorts I own, and I’ve owned them for quite a long time. But they really are an essential part of one’s wardrobe collection. A pair of shorts, like these from Target, have a great look to them. And H&M is always a great source for a stylish pair of shorts. You can take your look from day to night, comfortable casual to fancy casual, depending on your shoe choice. The glittery heels were purchased for a cosplay, but they work perfectly to add a bit of glitz and glam to an outfit. They pair nicely with the gold foil on the shirt. You can get these shoes at PinUpGirlClothing.com. These Wonder Woman sandals are from Hot Topic. They’re sold out on the website, but you still might be able to find them in-stores. They’re a great pair of themed flip-flops. 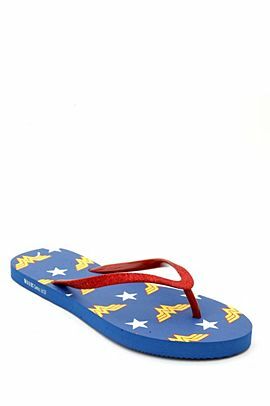 Havaianas came out with a line of superhero sandals a few years ago that included Wonder Woman themed sandals. You can find some of the styles, like this one, or this one, at SuperHeroStuff.com. I kept the accessories to a minimum with this outfit, and paired the look with my Lynda Carter era Wonder Woman styled earrings, like these from Etsy. 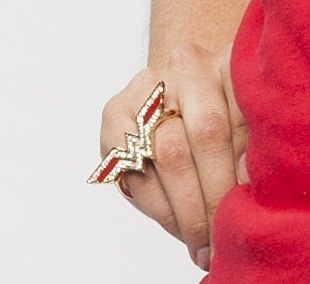 And also a WW logo ring like the ones from nOir. The holiday season is just around the corner, which is a perfect time to show off stylish geek ensembles at parties and events! Hopefully the looks we’ve shared have given you some ideas and inspirations. If they have, we’d love to see what you’ve come up with. Share your outfits on our Facebook Page, or our Twitter. And Don’t forget, we’re on Instagram too (username: settostunning)!